Why to go for Jade Beach Apartment for Rent Option? There are many people who seek to live in Sunny Isles but are not quite ready to buy. Perhaps, they may want to evaluate the area and determine if this place will be right for their family. Also, there is a huge demand for short term rentals in Sunny Isles Beach because it is such a popular resort destination. If this is your case, then Jade Beach apartment rental might be a great choice for you! But, why would you love to live in Jade Beach? Location of Jade Beach is very strategic. It is just a short distance from Miami and from Fort Lauderdale. This is the primary reason for them to love Jade Beach. This makes easier to commute to both of these areas much faster. This Jade Beach does also happen to be close to the beaches. Plus, its proximity to shopping malls and restaurants has made popular. People love to visit this place during vacations and during vacations, renting option would be wiser. Sensing higher demand for Jade Beach apartment for rent, quite a few numbers of great properties have been made available for rent now at Jade Beach. If you have a little time, you may better look through the properties which are available to see. Those properties are in various sizes and locations. All of them have lots of unique amenities. Make sure to contact soon if you see something which interests you. 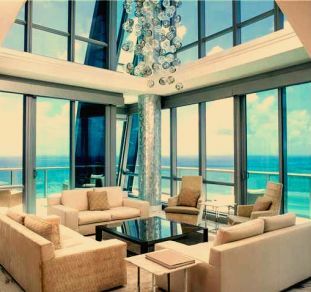 Remember that Jade Beach Sunny Isles apartment for rent tends to go quickly simply for the building is highly well known all over. For example, there are several three bedroom Jade Beach Sunny Isles apartments available for rent at this time and are priced around $10,000 a month, while one bedroom units rent for around $4K to $5K a month on an annual basis. The benefits of renting apartment at Jade Beach: You will have to invest very minimum. In return, you will be enjoying its wonderful locations and amenities within the building itself equally. You will find on-site guard, a community spa, valet parking, fitness center, a swimming pool, and a completely safe gated community. Find herein a private beach, which gives access to prime spots right on the water! If all these you don’t like, you might be looking for a densely crowded place. All of these features must add to the reason you will love to live here at Jade Beach.